METALLO: John Corben was initially hired by the then-arrested Lex Luthor to assassinate his sister Lena Luthor to prevent her from rebranding Luthor Corp. His first two attempts to kill Lena fail due to the intervention of Supergirl and Superman and his third attempt is foiled by Alex Danvers and Lena who shoots Corben when he tries to take Alex hostage. While being sent to the hospital, he is intercepted by Project Cadmus who perform an experiment to convert him into Metallo (a Kryptonite powered cyborg). Then they unleash him on Supergirl and Superman. METALLO 2: Cadmus isn't satisfied with just one Metallo. The very same process Dr. Gilcrist developed to make Metallo is used against him to become Metallo 2. 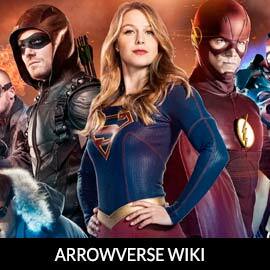 For more on Metallo, check out our partners at ArrowverseWiki.